GENEVA, April 16, 2014— 30 donor countries today pledged US$ 4.43 billion for the Global Environment Facility (GEF) to support developing countries' efforts over the next four years to prevent degradation of the global environment. "Today's decision is a powerful signal from the global community about the importance of urgently reversing the negative environmental trends in order to ensure a sustainable future for everybody", said Naoko Ishii, CEO and Chairperson of the GEF. "I am extremely encouraged by the broad coalition that has come together behind the belief in GEF's ability to play a critical role in helping achieve this transformation." The funding will support projects in more than 140 countries to tackle a broad range of threats to the global environment, including climate change, deforestation, land degradation, extinction of species, toxic chemicals and waste, and threats to oceans and freshwater resources. 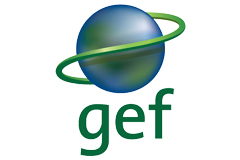 The GEF is the main global mechanism to support developing countries' to take action to fulfill their commitments under the world's major multilateral environmental agreements. In GEF-6, donors agreed to new financing in support of the Minamata convention on Mercury that was signed in 2013, bringing to five the total number global environmental conventions that the GEF serves. "The Global Environment Facility has gained the confidence of development partners for its strong track record in protecting the global environment and for its sound management of development partner funds," said Joachim von Amsberg, Vice President for Concessional Finance and Global Partnerships in the World Bank Group, which serves as Trustee for the GEF. "The environmental challenges the global community faces are significant, and funding for the GEF-6 program will help put us on a path toward our shared goal of sustainable development." Donors emphasized GEF's role in supporting innovative and integrated solutions for the global environment. Among a number of innovations contained in GEF-6 is a new Integrated Approaches Pilot aimed at addressing environmental challenges by focusing on some of the underlying drivers of environmental degradation through special focus on for example food security in Africa, sustainable city development and on taking deforestation out of global commodity supply chains—all issues that can only be effectively addressed if broad coalitions of stakeholders across countries and sectors can be brought together around a common action agenda. “We welcome the more than US$ 4.3 billion pledged by 30 donor countries to address the urgent environmental needs of developing countries, and appreciate the increase in the overall amount of funding accorded to the chemicals and waste focal area announced today,” said Kerstin Stendahl, Executive Secretary ad interim of the Basel, Rotterdam and Stockholm Conventions. “Every dollar pledged to address POPs chemicals must now be put to work as hard as possible to defeat the scourge of persistent organic pollutants,” Ms Stendahl added. Mexico's Secretary of Finance and Public Credit, Luis Videgaray, who will host an Assembly of the GEF's 183 members in Cancun, Mexico, in May said, "Only by integrating environmental considerations into decision making by governments, private businesses and households can we hope to make a difference in the global environment. The GEF-6 effort gets under way at a critical time, and is a vital platform to help mobilize all stakeholders to play their part." Underpinning efforts, the GEF is developing a longer-term strategy, GEF2020, which aims to enhance the GEF's impact by focusing its interventions more on the underlying drivers of environmental degradation. Doris Leuthard, head of the Swiss Federal Department of the Environment, Transport, Energy and Communications that hosted the meeting in Geneva said "We have better scientific evidence that human activity can lead to tipping points with a risk of irreversible and abrupt environmental change. By focusing on the drivers of environmental change and by seeking multiple benefits, the GEF is taking the right approach to turn around the worrying trends in the global environment".